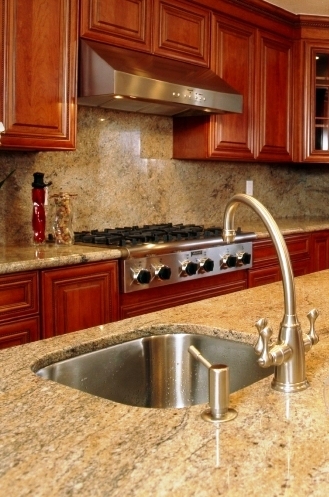 StonePly counter tops can be used in a variety of areas including on yachts, cruise ships, and airplanes. These areas usually have weight restrictions and cannot accommodate the weight of thick granite or marble slab tops. StonePly has revolutionized counter tops for use on yachts, cruise ships, and airplanes by laminating thin real stone to a lightweight aluminum honeycomb or aluminum composite material. This allows yachts, cruise ships, airplanes, etc., to use granite and marble in their bathrooms, kitchens, and bars. StonePly counter tops weigh up to 80% less than traditional slabbed counter tops but have the same elegant look. A variety of bullnoses and shapes are available to accommodate almost any space. StonePly counter tops are precut, polished, and are ready to install. They are easy to install and in most cases installs faster than traditional marble or granite countertops which translates into saved time and labor costs. Also, StonePly panels can be used on yacht, cruise ship, and aircraft interiors as wall panels, floors, bar tops and signage. Don’t forget, for a nominal fee we also install. However, if you decide to intall please take a look at our installation guidelines and instructions prior to installation.